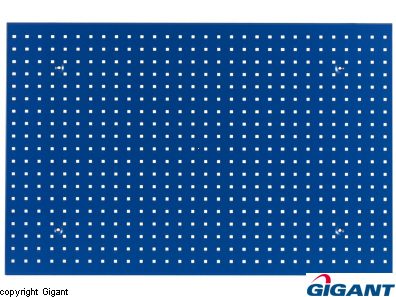 "Gigant" Tool panel, perforated 1150 x 750 mm. 14 mm all round folded edge. Bolted directly to the wall. Color blue RAL 5005.